It’s safe to say that most people in Kansas City have heard of the Kansas City Renaissance Festival . 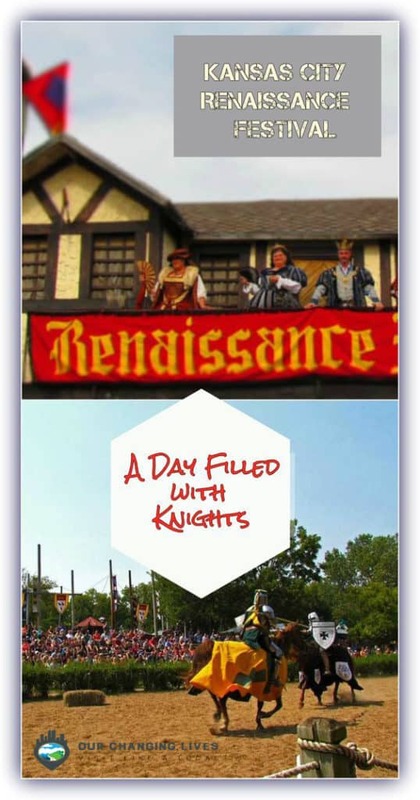 (Many just call it KC RenFest) Since it began in 1977, it would also be fair to say that most have either attended or knows someone who has. We have been quite aware of it, since it’s early days. We even visited it on our honeymoon weekend back in 1981. 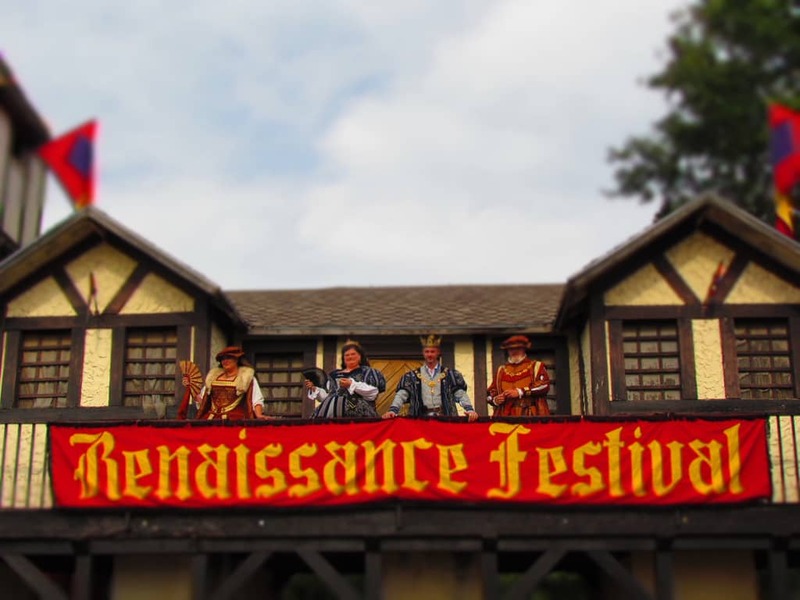 We want to thank the Kansas City Renaissance Festival for their hospitality. Rest assured that all opinions are our own. Through the years many changes have occurred, but the festival has always been a place to see artisans in action. Glass workers create miniature masterpieces, Leather workers work their materials into a plethora of usable items. The grounds have expanded over the years, and this has allowed for additional work spaces for a variety of artists. This season they expect to have more than 250 artisans working. We enjoy watching them in action, and they are usually quite willing to explain in detail the steps required to produce their works. All of these wonderful products are available for sale in shops throughout the KC Renaissance Festival grounds. There are so many shiny and sparkly items that our eyes are constantly being drawn from building to building. It’s a shoppers paradise, with just about anything you can imagine. Looking for some chain-mail fashioned with the emblem of your favorite superhero? You can find it here. Need a little support when you walk? How about a custom cane or walking stick? Of course, there are tons of specialty items for the little ones, so be prepared for that. With so many interesting shops, it is easy to lose track of time. Soon it was time for the Grand March Parade. During this event a large portion of the royal court walks through the realm with a variety of supporting cast in tow. The parade isn’t as large as it used to be, but it is still big enough to get a good flavor of the variety of characters to be found in the KC RenFest grounds. It is quite a spectacle, and at the end of the parade they have worked their way to the jousting grounds. The parade was our signal to make our way to the joust, and we found the stands filled with spectators. I have a way of finding a good spot for pictures, and went off to secure one. Soon the event started with two knights competing to catch a tossed ring on a lance, while galloping at a good pace. When one was the clear victor, he rode to the Royal Box to receive his reward from the queen. After this show of agility and control was complete, it was time for the joust. The two knights donned their helmets, adjusted their shields, and prepared themselves for the inevitable. Soon the signal was given, and the horses charged forward. The first pass was only a glancing blow by one knight, which caused no damage. They returned to their appropriate sides, and prepared for a second charge. This time one struck squarely on the others shield. His lance splintered, as the crowd let out an approving cheer. A third charge unseated one of the knights, and the battle moved to the ground. Each knight selected a sword, and a short fight was held. In the end, both escaped unharmed, and the crowd got a wonderfully entertaining show. As I mentioned, the grounds of the KC RenFest have expanded over the years. Fortunately, as they grew they have added more show areas. No matter where we found ourselves, we were only steps away from a show or music attraction. These offered plenty of chances to sit for a few minutes, while being entertained. The map and schedule we received when we arrived helped us identify locations and shows we were interested in seeing. Be aware some shows have a PG13 rating, so check the schedule if you have young ones with you. Many of the shows have a comical edge, which keeps the day light-hearted. One feature that has always been prevalent at the KC Renfest is the interaction between the staff and guests. The idea is that we are visitors to the city of Canterbury during the Middle Ages. The festival characters attempt to convey this at all times, and love to reach out to people they meet. They understand that not everyone is into this connection, but the hope is that people open up a little. We like the interactions, because sometimes its fun being a little silly. Besides, we may just learn a little about the history during this time period. Of course, you usually don’t have to coax a child to reach out to the staff. It’s fun watching the reactions of children to some of the skits that characters have developed. 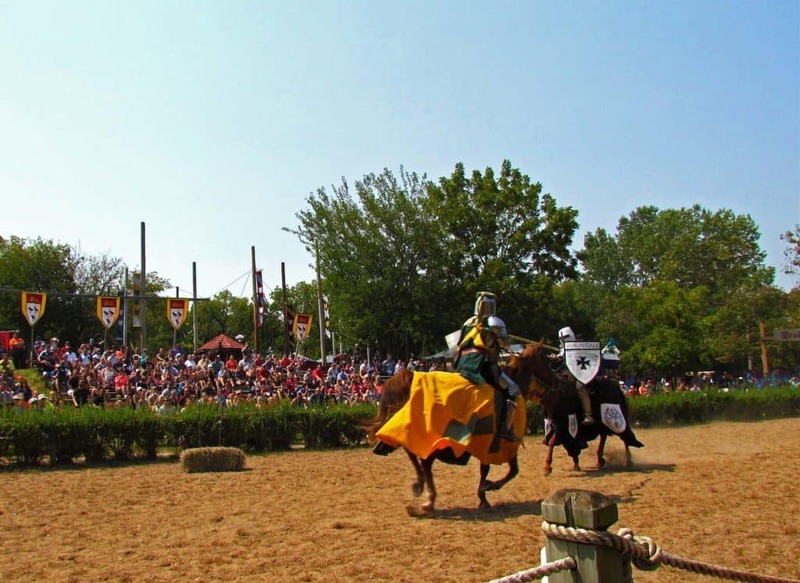 Each year the KC Renaissance Festival brings new features to the grounds. In 2017, they have added quite a few. The same artisans who work their crafts on the grounds are also in the process of assembling a dragon. During our visit it was about half done, and it will be quite an impressive piece once completed. The recent interest in escape rooms has also come to the festival. For $10 visitors have 20 minutes to escape, before they contract the plague. Do you think you can survive? If it sounds too challenging, perhaps you would prefer Flight School. The addition of zip-lines has taken the festival to a new level. While the festival grounds are meant to represent a city in England, there are many other cultures represented in the shire. This year an enclave from Scotland has arrived, and made camp just outside the jousting grounds. Here guests can interact with characters who will explain some of the history of turbulence, in the isles, during this period of history. Of course, these are just some of the things we saw during our visit. There is so much more for families to enjoy, but let’s just leave a little to be discovered on your own.